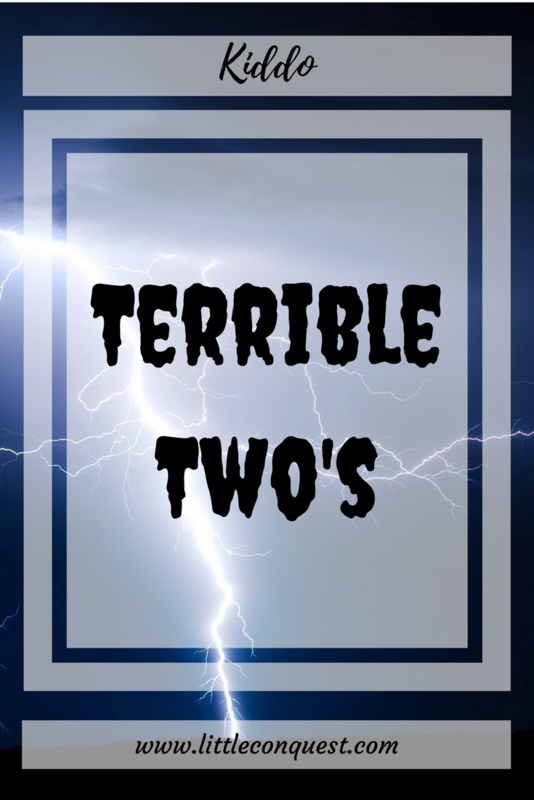 You are here: Home / Kiddo / Terrible Two’s! I recently talked about how baby CJ is Being Sweet and Cuddly and how it is attached to him being sort of clingy. Well, about a few weeks ago, baby CJ has been acting out. He seems to have entered a screaming screech phase along with ignoring everything I say. While out at the stores, after about 5 minutes of being in there, he will try to reach for everything in the aisles and if he cannot get it or I do not give it to him, he will scream. But it’s not like a cute aww poor baby scream. NO. It’s screaming BLOODY MURDER! I try to console him and talk to him to try to get him to stop and he does it LOUDER. I really don’t mind, I rather have him scream it out than give in to whatever he wants because he will expect it every time. However, people often look at me like, ‘Did she beat that poor baby?’, even though they do not know how fake this scream is and not to mention, those are really dangerous assumptions. Something that seems to work, is reverse psychology. I started doing this thing where I say, ‘Why don’t you scream louder?’ Sometimes it works on the first try and sometimes it works on the second, ‘Scream louder, people can’t hear you’. It sounds like it would have the opposite effect, but it doesn’t. How funny are toddlers?! If all fails, depending on how far along we are with our shopping, I either give him something to hold and try to hurry to be finished or if I think we reached a good stopping point, we simply leave. I find that after he has been screaming for a good amount of time (with crocodile tears etc.) and nothing gets him to stop leading us to leave, within 5 minutes of getting home, he will pass out and nap for a couple hours. Not always, but for the most part. I feel so bad sometimes when he wants something and he won’t stop screaming, but seriously baby CJ, you cannot play with that glass bottle! I know he’s still too young to understand that things break and some things are not for babies, and if it takes screaming bloody murder for him to get over it, I’m ok with it. Another thing that he just started doing is pretending not to hear me. He likes standing right in front of the TV and every time I tell him to back away and sit on the couch, he doesn’t even blink. No matter how many times I tell him. He magically hears me when I tell him if he doesn’t back away, I’m putting him in his room. But then, 5 minutes later we’re back to the same cycle. I cannot stress to him that he is too close to our 50 inch TV and he can clearly see it from the couch that is less than 10 feet away. Dealing with a toddler is so much harder than dealing with an infant! And you can’t even ground them because they don’t know and there’s really nothing to take away, other than their toys and then they still won’t care. At least mine doesn’t! Sometimes I just want to yell, ‘Help me!’ Haha. 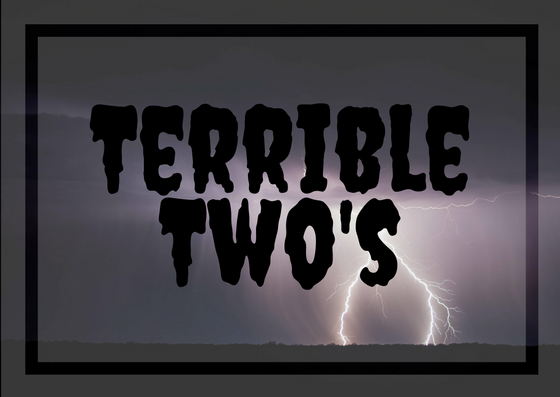 Has your little one been through the terrible two’s? If so, how did you manage? My son is in the Terrible Two’s now! I sympathize with you. Some days are better than others. I just keep hoping he grows out of it soon. Keep strong (and sane) mama! I have little cousins of 2 years old and omg, they’re everywhere! I admire your patience. Haha! Yes, they do do that lol and thank you! I don’t have kids of my own yet but a few of my friends do. This stage is tough but you are doing a great job!! Haha, just make sure you have tons of patience to spare! Loving your reaction to it ! Hehe, sometimes you gotta make lemonade! Isla is three and when she has a tantrum, I wait a bit and then say ‘are you done?’ If I’m lucky, she’ll say ‘yes’. Kinda like your Scream Louder thing. Love how you respond to it!! I’ve been there…4 times already and have 1 more to go through it with. Yep, that’s 5 kids. But let me tell you, the terrible 2s have nothing on the horrible 3s, at least with my just turned 4 yr old. But wait til they’re teens…yep, I’ve got 2 of those too. :O you are brave! good luck to ya, mama. Looks like you still got lots of work to do! Mine is almost 2 & we’re already working on consequences. Like just last night we were on our deck & she was carrying around the deck broom & she just kept getting mad at it (for seemingly no reason) I sternly told her if she didn’t calm down I would put the broom up where she couldn’t reach it, then she’d have a reason to get mad. She calmed herself down, maybe because she knows that if I tell her something I WILL follow thru. Don’t know how long this tactic will keep working but for now it does & I’m grateful! Enjoyed your post and I can definitely relate! I’ve tried that. He doesn’t care if I take it away lol that’s a stubborn one!